Having won the contract to produce the signature publication of DOM3 – the prestigious Marbella-based collective of top architects, interior designers, landscapers, lighting engineers, constructors and other specialist professionals working within the luxury property market of the area – we set about creating a concept for the organisation’s very first magazine. Though our service is highly modular – which means it’s entirely flexible and you choose what you need done – we specialise in providing the full beginning-to-end production of magazines and brochures. At Manifesto Design, marketing and publishing skills come together in one place, so we not only have great designers, editors and writers working on these projects, but also people with marketing savvy who know how to reach and communicate with your target audience, as well as what to present to them. This influences the core concept and runs through everything, from the design of the publication through to the style of writing and the topics covered. In the case of DOM3, the promotion of the highest technical standards and finest creative qualities in Marbella property development, home design and related support services are central, along with a passion for both these fields and Marbella as a lifestyle destination. We reflected this message in the design, the initial selection of topics and the way in which we approached the articles – all of which were written in-house, and in keeping with the spirit of DOM3, to the very highest standards. 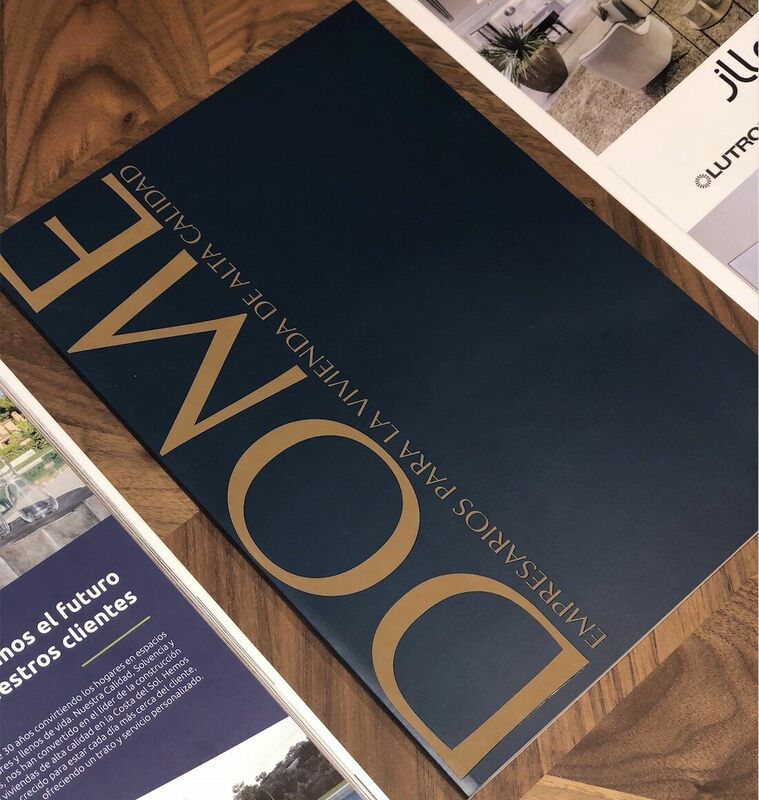 Working with member companies of the organisation, we set the bar high, and the result is a stylish signature magazine that personifies DOM3, its membership and its mission. The client is very happy and we are pleased to have produced yet another product – and service – that we can be proud of. Get in touch with us if you need professional, creative design, writing, publishing and/or marketing services.